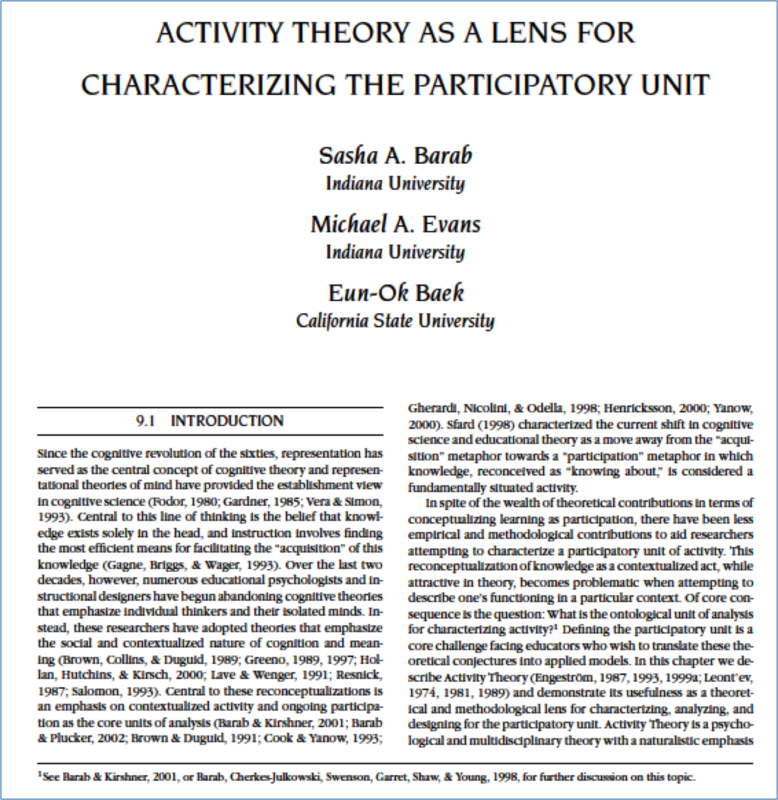 Sasha Barab > Articles > Activity Theory as a Lens for Charactering the Participatory Unit. In spite of the wealth of theoretical contributions in terms of conceptualizing learning as participation, there have been less empirical and methodological contributions to aid researchers attempting to characterize a participatory unit of activity. This reconceptualization of knowledge as a contextualized act, while attractive in theory, becomes problematic when attempting to describe one’s functioning in a particular context. Of core consequence is the question: What is the ontological unit of analysis for characterizing activity?1 Defining the participatory unit is a core challenge facing educators who wish to translate these theoretical conjectures into applied models. In this chapter we describe Activity Theory (Engestrom, 1987, 1993, 1999a; Leont’ev, 1974, 1981, 1989) and demonstrate its usefulness as a theoretical and methodological lens for characterizing, analyzing, and designing for the participatory unit. Activity Theory is a psychological and multidisciplinary theory with a naturalistic emphasis. When accounting for activity, activity theorists are not simply concerned with “doing” as a disembodied action, but are interested in “doing in order to transform something,” with the focus on the contextualized activity of the system as a whole. Barab, S. A., Evans, M., & Baek, E. (2003). Activity theory as a lens for charactering the participatory unit. In D. Jonassen (Ed.). International Handbook on Communication Technologies, Vol. 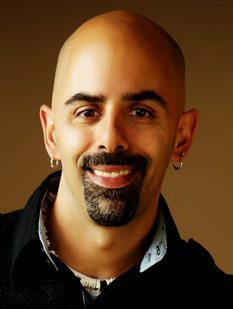 2 (pp. 199-214). Mahwah, NJ: Erlbaum.